We were very pleased with the service provided Knockout Pest Control technician, Frank Ukperaj. He did a thorough inspection and treatment throughout, as needed. He answered all my questions. He took time to explain what was needed and what he was doing, as well as the ongoing services provided by the plan. He was on time, courteous, and personable. 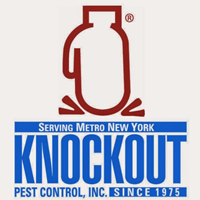 Overall, I was very pleased that we made the decision to sign up for the yearly contract with Knockout Pest Control.